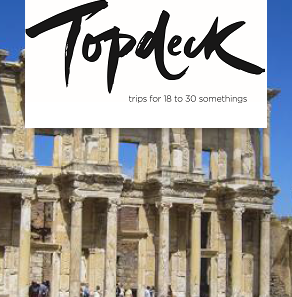 Below is a list of the most popular Topdeck trips. Please note that prices are subject to change. 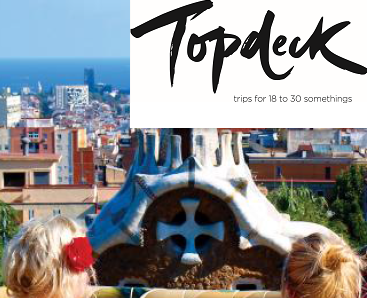 Receive 7% off any Topdeck trip just for booking through OVC! Europe Summer 2018 Trips at 2017 Prices PLUS 15% off! 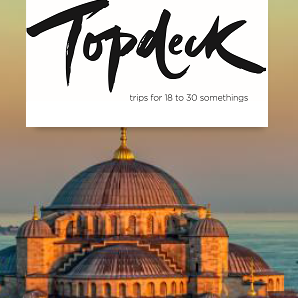 For additional information on any of the many other Topdeck trips we offer, please complete the 'More info' form and a consultant will contact you shortly. T&C's apply. This Bangkok reprieve focuses on the bustling city and its tuk tuk filled streets. Museums, temples, and street food abound, the trip ticks off a city tour, a Chao Phraya River cruise, Bridge over the River Kwai, the War museum and War cemetery. Covering a section of Vietnam’s indigenous H’mong lands and their absorbing culture, this trip is jam-packed yet only scrapes the surface of what is tucked away high in the rice paddies of Sapa. Visit O Quy Ho, a H’mong village and stay with a H’mong homestay host, explore the Muong Hoa valley and its ethnic villages, and express yourself at a batik painting master class. Hop around the remote islands of Indonesia from Lembongan Island to Gili T, to nature/yoga haven Ubud. Water sports on Lembongan Island, a Cidomo ride, seafood dinner on the beach, a full day tour and plenty of optionals of the aquatic kind should keep you busy for nine days. There’s always coconuts, tanning and Indonesian food eating to be done. 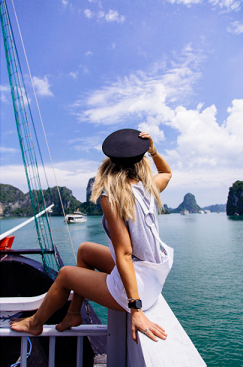 Boat around Thailand’s west coast with James Bond Island, Lawa Island and a full day island trip by speedboat to give you enough memories to fill your SD card. Phuket, Krabi, Koh Lanta and Phang Nga Bay make up the peaceful and secluded south with its beaches, rivers, and countless snorkelling and swimming havens. From full (and half) moon celebrations to fried roadside insects, muay thai and coconuts for days, Thailand is where it’s at. 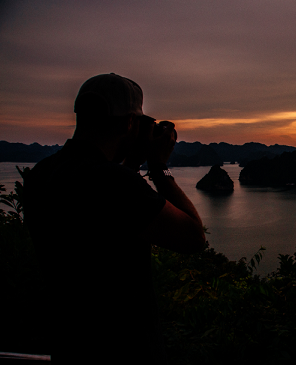 Koh Samui, Koh Phangan and Koh Tao will bring the sunrise/sunset action. 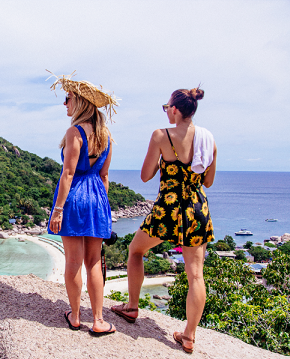 Plus: the best Pad Thai, a full day Angthong Island tour and 1000 chances to work on that tan. Japan blends a mix of traditional and ultra-modern in Tokyo, temples and geishas in Kyoto, and culinary capital Osaka. Robot bars, a Kyoto day trip, too-big-for-the-bowl udon, a Buddhist prayer service, a folk village visit and the Hiroshima Peace Museum (with cat cafes for good measure) will introduce you to the land known for its down-to-the-second precision. 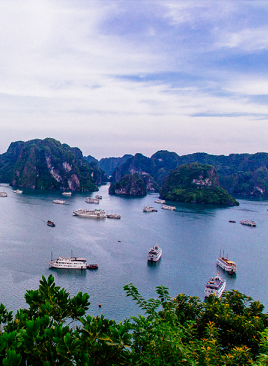 Between Ho Chi Minh’s rumble of 4 million motorbikes, Nha Trang’s scuba diving culture, floating markets and jade waters in Halong Bay - Vietnam is the perfect island-city combination. Also: horse-honouring temples, chaotic old quarters and philanthropic restaurants in Hanoi. The land of pho and snake wine will not disappoint. 3 countries – Thailand, Malaysia, Singapore Village experience, boat tour, night trek and street eat your way down Thailand. Through Penang for Georgetown murals involving cats, the Cameron Highlands for giant insect spotting to Kuala Lumpur for buddhas and making friends with locals. Throw in a boat tour around Malacca and a jaunt in Singapore’s Chinatown. 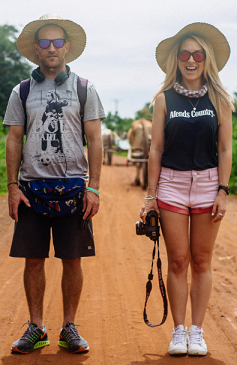 3 countries – Thailand, Laos, Cambodia. 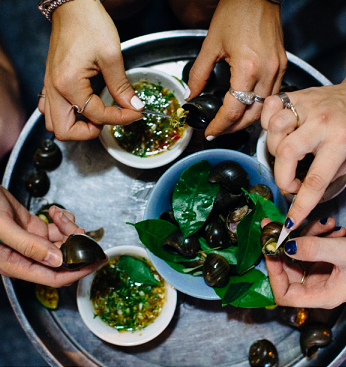 Wander upwards through northern Thailand with street eats by tuk tuk, a Chao Phraya river cruise and overnight trains. Then Laos to give monks their alms, the Golden Triangle and a Mekong river cruise. 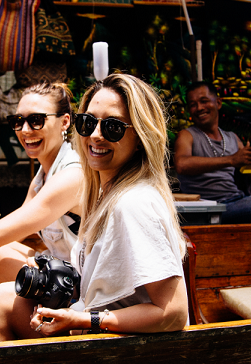 Venture downwards to Vang Vieng for rapids and cave exploring, Vientiane for a temple/monument scramble, then Siem Reap for Bayon’s stoney faces and Phnom Penh’s walkable waterfront. 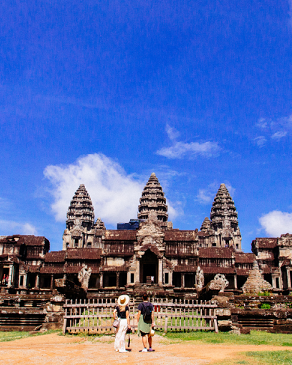 4 countries – Thailand, Laos, Cambodia and Vietnam. Countless tours, food, temples, breathtaking sunrises atop spiritual mountains, local encounters, transport options and coastal island heaven. Get blessed by monks, cruise rivers and learn the meaning of humility and empowering enterprise throughout Indochina. 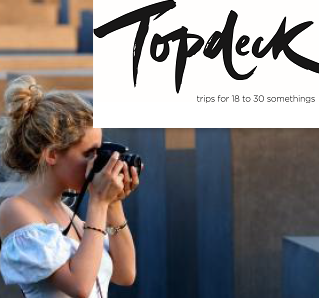 Join Topdeck in the Alps and Ski Austria! This tour visits: France, Switzerland, Monaco, Italy, Vatican City. They say that all roads lead to Rome; if that's the case then it's also true that some routes are far more interesting than others! 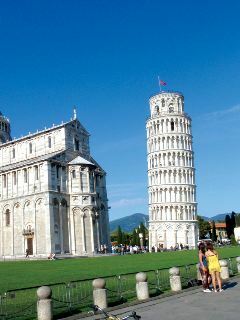 Make your way from London to the 'Eternal City' and discover the true essence of Europe along the way. From the fashionable streets of Paris and stunning scenery of Switzerland, to the opulent extravagance of Monte Carlo, this short tour lays Western Europe bare in all her glory! This tour visits: Italy, Germany, Czech Republic, Netherlands, Belgium. 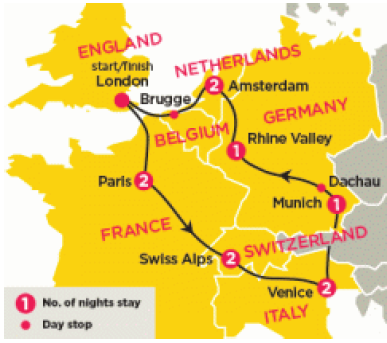 Escape the norm and journey to the real heart of Europe on this great adventure. Traverse the great Alpine mountain range and explore some of the world's greatest cities as well as discovering some of its lesserknown treasures! 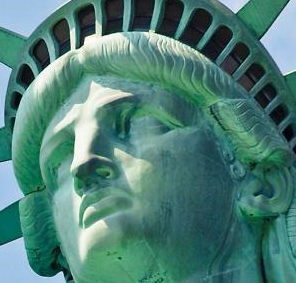 This tour visits: France, Switzerland, Italy, Vatican City, Slovenia, Croatia, Hungary. This tour visits: France, Switzerland, Spain, Monaco, Italy, Vatican City. 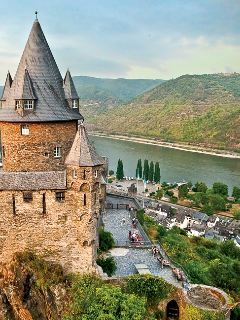 See the best a tour of Western Europe has to offer as we make our way from London to the 'Eternal City'. 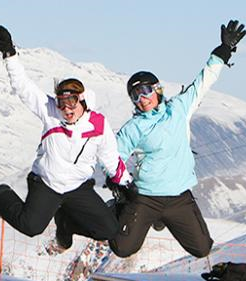 Stand in awe as you marvel the stunning Swiss Alps. Smile as you’re enamoured by Paris's neo-classical architecture and leafy boulevards. Shout 'salud' in the tapas bars and restaurants of cosmopolitan Barcelona. And swoon as you are seduced by the canals of Venice. There is so much variety to offer the traveller to the continent and this short tour of Europe is a fantastic introduction. Taking in all the major highlights as well as some tucked-away gems that epitomise this region at its best, this is the perfect Europe tour for those who are big on ambition but short on time. Experiencing it all with a group of other young travellers, you will be amazed by what we can fit into just 11 days! 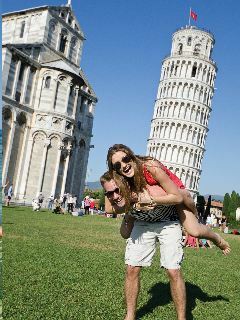 This tour visitsItaly, Slovenia, Croatia, Hungary, Poland, Czech Republic, Germany, Denmark, Netherlands, Belgium! Wonder at the amazing sights and sounds of Europe - the ones that you have heard and read about! Now includes Munich and Berlin! Begin your 12 day adventure in London and experience the essence of Europe! 17 days around Europe! 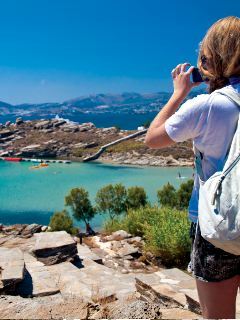 Get away from it all and discover Europe! 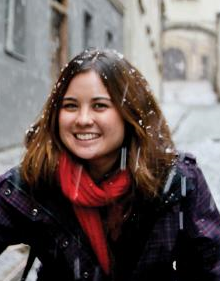 A winter tour of Europe to warm the spirits! Republic, Germany, Denmark, Netherlands, Vatican City, Belgium, Slovenia. This tour takes you from Istanbul to Fethiye along the beautiful Turkish coastline. This tour takes you from Istanbul to Fethiye and other fascinating places along the way! The fascinating culture and stunning scenery, not to mention the visible remnants from the many civilisations over the ages, make a tour of Turkey a truly fantastic travel experience. Starting amidst the historical grandeur and modern wonder of Istanbul, we will witness historical highlights, such as the ancient ruins of Ephesus and Pergamon; cultural treats like the amazing cuisine and traditional hospitality of the locals; and of course the stunning landscapes of places such as the otherworldly Cappadocia and gorgeous coastal villages on the Mediterranean. This is the quintessential Turkey tour and a travel experience you’ll never forget. 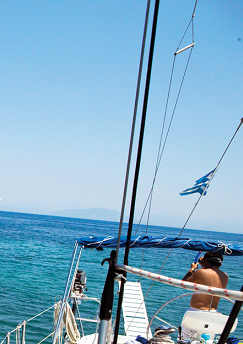 Sail Turkey and soak up the sun, sea and culture! Athens to Perdika and back to Athens. 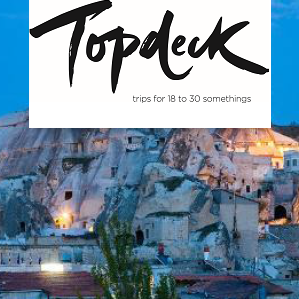 Spend eight relaxing days cruising on the Adriatic Sea with Topdeck's Croatia Sailing. 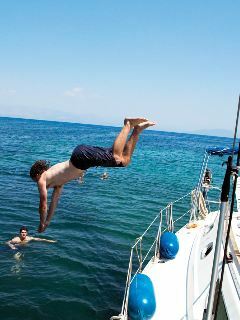 This sailing trip, which starts and finishes in Dubrovnik, takes in the beautiful Croatian coastline and stops in idyllic destinations including Dubrovnik, Split, Hvar, Korcula and Mljet. 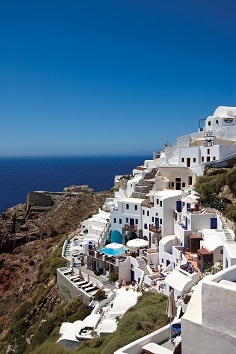 Can you think of a more idyllic holiday than afloat the impossibly blue waters of the Mediterranean? Well imagine eight days sailing Croatia’s Adriatic coast, where the calm warm seas gentley lap at the stark and rugged coastline! 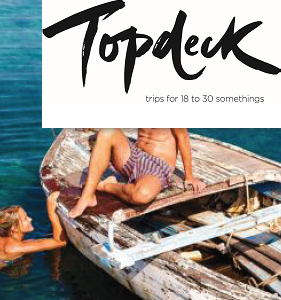 JSpend 8 relaxing days cruising on the Adriatic Sea with Topdeck’s Croatia Sailing. Choose to cruise the beautiful Croatian coastline from Dubrovnik to Split or the other way round with stops that include idyllic destinations like Hvar and Korcula. Sun, sand and Greek salad for 10 magic days! 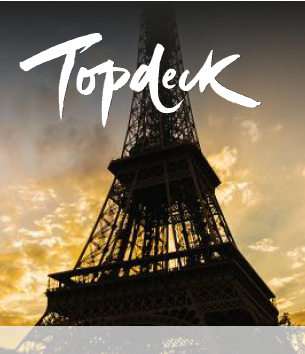 Experience New Year in Las Vegas with Topdeck! 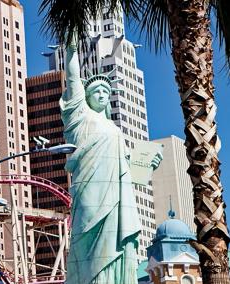 From majestic wilderness to mad cities this 7 day trip of California, Nevada and Arizona has it all! 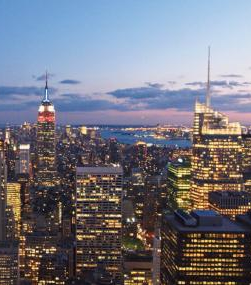 Celebrate New Year in the Big Apple! 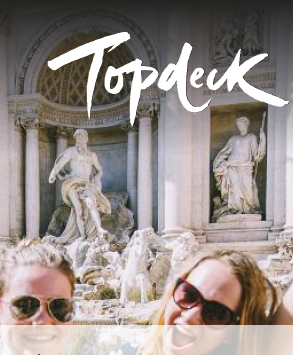 Tour northeast America and eastern Canada on this fun Topdeck USA and Canada road trip! NYC to NYC. 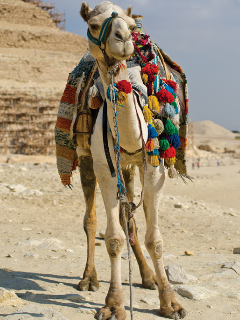 Join our epic 19 day adventure into Egypt, Jordan & Israel!